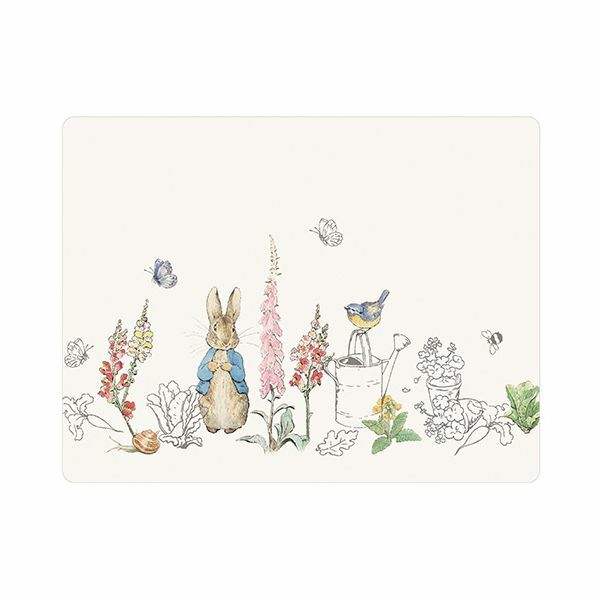 Peter Rabbit Classic Set Of 6 Tablemats 9107058 Six cork-backed tablemats that feature a Classic Peter Rabbit design. Six cork-backed Tablemats that feature a Classic Peter Rabbit design. The Tablemats are cork-backed which will stop the mats from slipping and will also protect delicate work surfaces from scratches and heat damage.